Mac was born in the Swiss and Italian Alps and has spent a lot of time mountaineering in many parts of the world. Through skiing and alpinism he got the chance to join diving with sharks in the Red Sea and cross the Atlantic to the Caribbean. 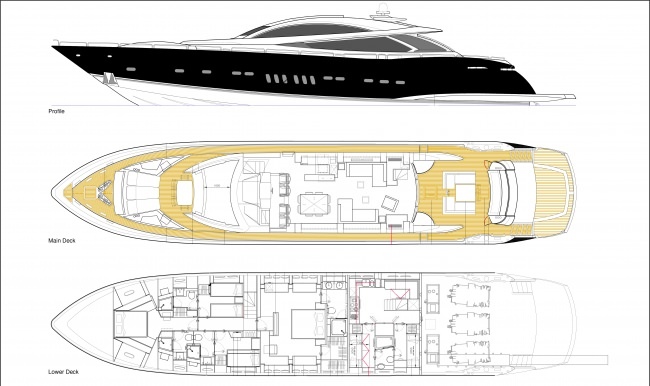 Ever since, the yachting industry has become his profession and passion and he has worked on boats up to 65m in length. If schedules allow, Mac and Emma like go to their sailing boat in Greece to enjoy sailing in the Mediterranean. Mac is very much looking forward to cruising on M/Y Double D with charter guests in a safe and fun manner this season! Emma comes from the south western coast of Sweden and grew up sailing in the summer times with her family. She is passionate about cooking and went to one of the leading cookery schools Ashburton in the UK to extend her cooking skills. She is flexible with cooking menus, specializing in Italian and international cuisine and focusing on presentation and taste. Additionally Emma has a hospitality background as Chief Stewardess on yachts. She loves taking care of her guests on board M/Y Double D to the highest standard so they can enjoy a valuable holiday to remember for a long time. Born in busy central Madrid, Bea found her love for the calming effects of the sea a few years back, after moving out from the city to experience island life. Spending a few years in Malta, her outgoing and energetic personality came into play while working in different sectors of the tourism and catering industry. She later moved on to spend a year in Palma de Mallorca working in a Michelin Star restaurant before deciding to get into yachting. Her experience in hospitality, bubbly personality, and bartending skills always ensure a positive vibe is around. She aims to ensure that guests of all ages are having a fun and memorable time. In her free time, Bea likes listening to music, travelling to new places, socializing with people, and visiting her family back in Madrid. Coming from the little island of Malta, Zac was never far from the sea. That together with the influence from his grandfather’s engineering experience, motivated Zac in pursuing a marine engineering career. After completing a degree in Marine Engineering, Zac had enough of sitting at a desk and got his first job in a ship repair company, getting the chance to work on 3 story high diesel engines. He later moved into the yachting industry in Palma de Mallorca as a yacht mechanic; which led his first job as chief engineer. Apart from engineering problem solving, Zac enjoys snorkelling, spearfishing and fitness activities, and the occasional trip back to Malta to visit family and friends. On Double-D, besides making sure the guests are enjoying use of the on-board toys responsibly, Zac is also behind the scenes keeping all systems and equipment up to standard.